The report also states that the federal government will work with drone makers to set up a registration system that could be in place by Christmas. As unmanned aerial vehicles (UAVs), or drones are becoming increasingly popular, they are also coming under heavy criticism for flying too close to airports and interfering with fire fighting efforts. Since flying drones remains largely unregulated, the U.S. government is concerned over flying drones near some of the busiest airports across the country. According to NBC News, the Government will require anyone buying a drone to register the device with the U.S. Department of Transportation. The report also states that the federal government will work with drone makers to set up a registration system that could be in place by Christmas. With the help of a registry, drone owners can be easily tracked down in the event of an accident. Earlier in July, a drone went dangerously close to an airline that had more than 150 passengers which was about to land at the John F. Kennedy International Airport in New York. The drone was flying at a near distance of just about 100 feet from the passenger airline. The normal safe distance between aircrafts is at least 1,000 feet. Several drones were also trying to capture aerial images of the burning forests during the recent California wildfire in July which interfered with firefighters' efforts to successfully extinguish the fire. In another incident, a drone also tried to fly over the White House. As the drone sales increase during the holiday season, the new regulations on UAV are expected to be enforced before the holiday season. This means all drones purchased before Christmas will have to be registered with the Department of Transportation. However, the report doesn’t clearly state whether existing owners would need to register along with those purchasing new drones. Drones are also known to be very helpful in rescue operations when aerial views of affected areas are needed. For instance, drones can be used to find stranded people in flooded areas. 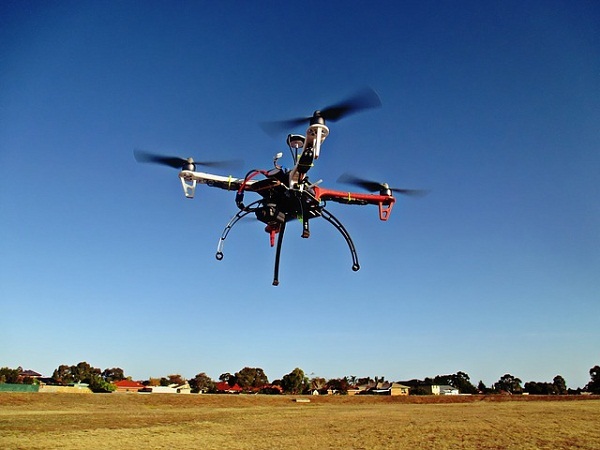 However, many drone pilots are taking flying UAVs as a hobby, which can be a threat to others. Industry officials have blamed the FAA for an increase in drones interfering with flights, stating that the USA aviation regulatory agency failed to come out with final regulations for commercial drone flights in time to meet a September 30, 2015, congressional deadline. Violators would be subject to a fine or up to one year in jail. With drones set to be registered in the near future, such incidents could be avoided and alleviate the privacy concerns as well.